When Susan Fowler alleged in February that sexism and sexual harassment was rampant at Uber, it wasn't just the charges that were shocking. It was her willingness to speak out against a powerful former employer. Halfway through the year, the allegations of women undermined and harmed by a male-driven tech culture feel too familiar. Silicon Valley is confronting, painfully and in public, what many women have said in private for years: The tech industry is rife with accusations that women are marginalized or harassed. This week it's Google in the spotlight. Over the weekend, a 3,300-word memo, written by a male engineer, was made public. It proposed women aren't suited for tech jobs for "biological" reasons, and that they're prone to "neuroticism​." A storm erupted, the engineer was fired and Google is facing critics who say it's acting out of liberal political bias. Of course, issues surrounding gender in the workplace, including sexual harassment, are not unique to tech. But the industry is facing a particularly public period of self-examination. At Uber, Fowler's blog post was the catalyst for a months-long investigation into the company's workplace culture, which led to the resignation of Uber CEO Travis Kalanick. Following her lead, more women came forward with harassment allegations. As a result, two powerful Silicon Valley investors stepping down from the firms they cofounded. The pervasiveness of these controversies has some comparing Silicon Valley to another industry run by powerful men with deep pockets, where women are marginalized. "2017 in tech reminds me of Wall Street in the '90s," Freada Kapor Klein, a longtime activist and leader in championing the diversity push in tech, told CNN Tech. Kapor Klein and her husband, Mitch, are investors in Silicon Valley startups. Two of their investments have been caught in the damning headlines this year, Uber and 500 Startups. They haven't been shy about expressing their disappointment. Three in five women in Silicon Valley say they experience unwanted sexual advances, according to one survey that polled more than 200 women. Two-thirds said the advances were from a superior, according to the poll, called "Elephant in the Valley." There were traces of tech's sexism problem over the years. Ellen Pao had a high profile gender discrimination lawsuit against venture capital fund Kleiner Perkins which she lost in court in 2015. Gesche Haas, founder of Dreamers // Doers, a community of entrepreneurial women, went public with sexual harassment allegations against an angel investor in 2014. "In my case, I had no one to reach out to, to discuss potential implications," Haas told CNN Tech, adding that women like her and Pao have helped created a pathway for others to come forward. "I've had quite a few of the women reach out to me prior to them going public," she added. At startups, there are countless stories of hostile work environments that are cast off as growing pains. But Google (GOOGL), formally a unit of Alphabet, is different. It's a massive publicly traded company founded almost 20 years ago. It's worth hundreds of billions of dollars. "When the Uber story broke, a lot of tech companies wanted to talk about how different they are from Uber," Cate Huston, a former Google software engineer told CNN Tech this week. "I hope this forces us all to think the ways in which we are like Uber and how we plan to address it." Another former Google engineer Yonatan Zunger said, "the real story about the Googler manifesto isn't the manifesto; it's that this is going on all the time and nobody ever hears about it." Even before the memo, there were troubling signs about Google's culture. 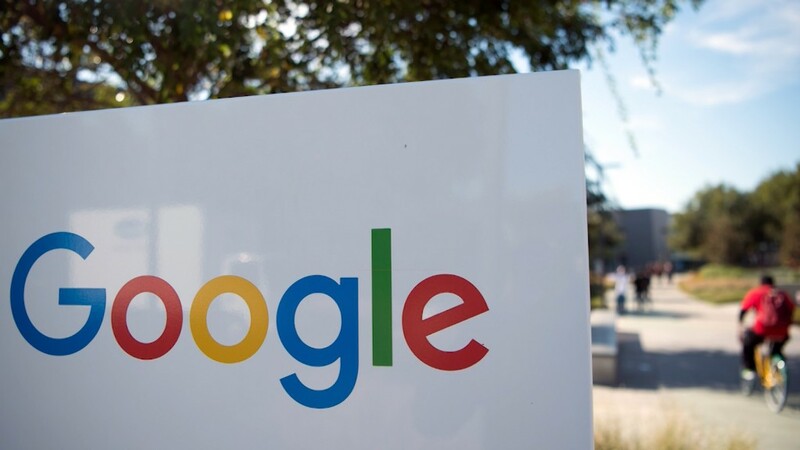 The Department of Labor is investigating Google's gender wage gap. The federal agency sued Google in January to force the company to turn over compensation data on its employees. A regional director at the Labor Department later testified that it found a "systemic" problem of Google underpaying women. Google has strongly denied this charge, calling it "an unfounded statement." Last month, a judge said the Labor Department needed to narrow the scope of data it was requesting from Google. All of this is forcing Silicon Valley to wrestle with a core belief: That it is a meritocracy, where the best and brightest rise up based purely on their skills. Kapor Klein recalled people in the early 2000s touting the tech industry as "post-diversity." "I think there's ample evidence to suggest we have a system that aspires to be meritocratic and indeed is deeply flawed," Kapor Klein said. "Until we can agree on a definition of what is a level playing field, who has the advantage now, what level of tinkering we need to do to get to a level playing field, we're going to see these cases pop up." And when these cases do pop up, it's likely to continue unfolding in the public eye. "Medium and Twitter have become tech's complaints channels," Kapor Klein said, noting the "absence" of accessible channels to complain within companies. "Tech companies have no one but themselves to blame."